Places to see in Machranga Dwip: It is a small island in the middle of Ichchamati River from where you can have a spectacular view of the setting sun over the river. 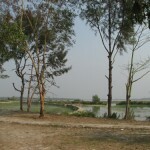 The island is nice for a nature walk over the green fields and in the distance you can the villages of Bangladesh. Nearby attractions of Machranga Dweep: Taki, which is another popular day trip destination, is just 20 mins from Machranga Dweep. Hasnabad is also nearby. Things to do in Machranga Dwip: You can arrange a picnic, take a boat ride or have a swim on the river. Exploring the island is another great way to have fun. How to reach Machranga Dwip: From Kolkata, you need to reach Hasnabad, by means of bus from Dharmatala or train from Sealdah. You can even travel by car for your convenience. The distance between Kolkata and Hasnabad is 75 kilometers. After reaching Hasnabad, you need to avail the option of vans to reach the ferry dock, from where motor boats should be availed, in order to reach Machranga Dwip. You can also reach Machranga Dwip by hiring a boat from Taki’s ferry ghat. Best time to visit Machranga Dwip: Though the place can be visited throughout the year, it is advisable not to visit this small island during the rainy season. 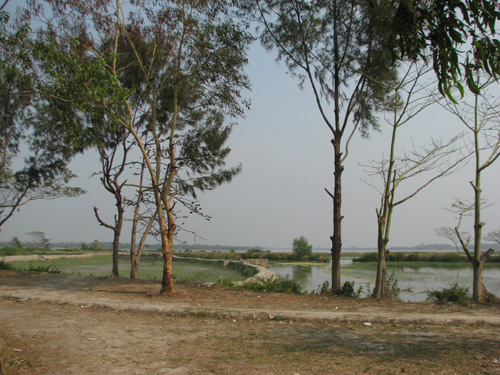 Lodging and Dining facilities at Machranga Dwip: Accommodation facilities like guesthouses are available in nearby Taki. Dining facilities are usually provided by the guesthouses. Hi all friends, after knowing details of Machranga dip,we planned to visit there on 1st jan,2012. After reaching there,we found that the place is new became a hell without trees. Not a single tree was there. So no scenic beauty is available now. I will request all to avoid this place. Thanx to all.